Just make your choice; buy / lease a place and leave the rest to us. 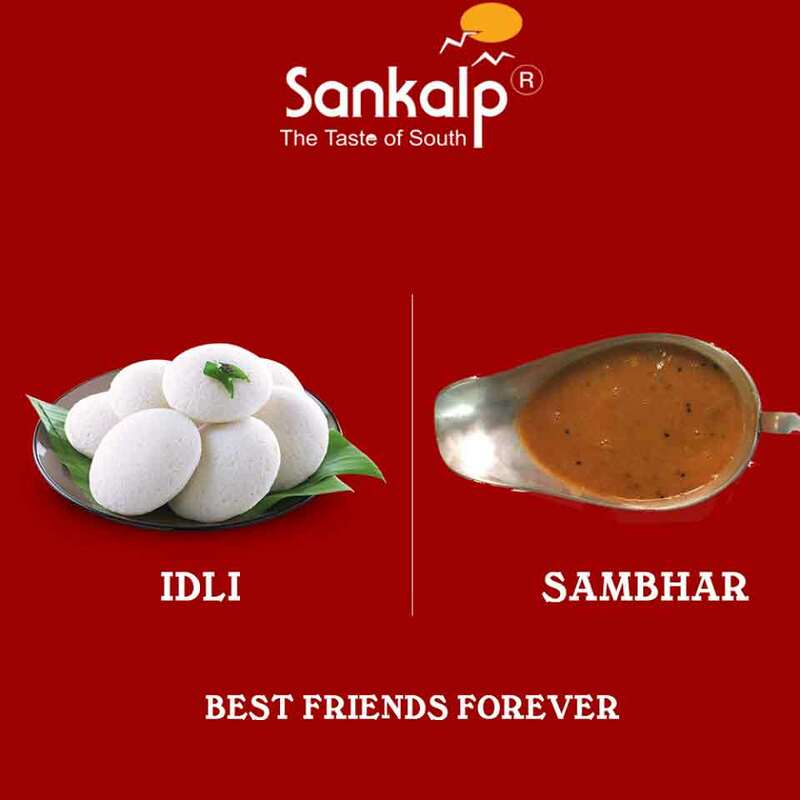 In a very short span of time from the opening of its first restaurant, Sankalp became Ahmedabad's best South Indian cuisine restaurant and till date is on the top. 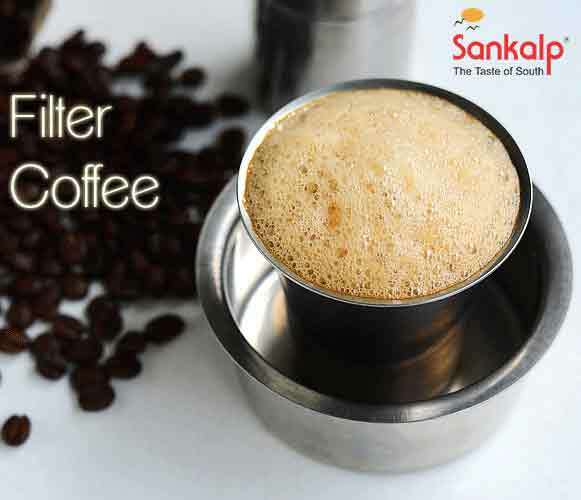 Sankalp Restaurants are nonpareil in style and cuisine. Authentic style culinary preparations, the ethnic table layout and the excellent service add to the USP of this Restaurant Chain. Presently, the Group has more than 150 Restaurants across the globe in 7 countries viz. India, USA, Canada, UK, UAE, Australia and New Zealand. Each Restaurant replicates the taste, quality, services and ambience that have made Sankalp a household name. Sankalp also found a place in The Guinness Book of World Records, twice. Sankalp's popular market presence is the culmination of an inherent desire to give customers an ever innovative specialty brand. The Company constantly strives to augment its culinary expertise by introducing novel dishes like Telangana Aloo, Kura Mura Dosa, Three Barrel Dosa, Kaikari Biryani and Iddiaappam among others. The Restaurants offer a dining experience that has not only help build a broad consumer base but has also inculcated loyalty among the diners. This is the reason why a Sankalp guest keeps coming back for more. A franchise with The Sankalp Group comes with an immediate advantage of working with a well established brand. A prospective franchisee will be dealing with a chain that has a proven track record and is high on the popularity charts. 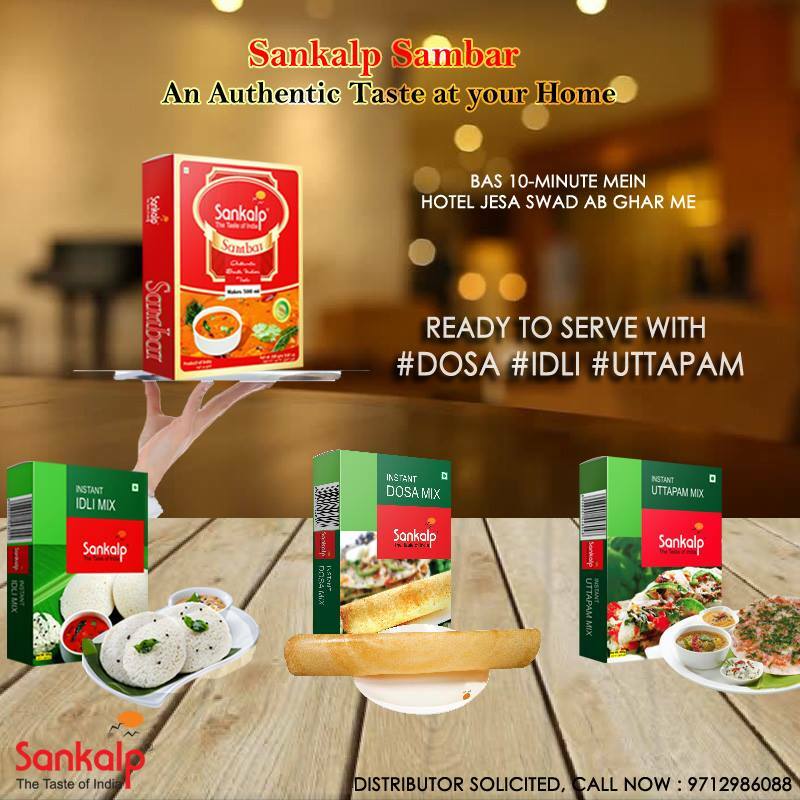 The Sankalp Group is a chain of speciality restaurants with more than 150 operations across the world. It also has several projects in the pipeline. This means significant ground research has already been carried out and therefore, any initial expenditure / investment a franchisee makes will have a solid basis. The Group is now an internationally recognized brand. Its credibility minimizes any potential risk of failure. A tie-up with The Sankalp Group immediately gives access to a wealth of knowledge and experience that can be used for growth, expansion and smooth operation of the franchise. The Group offers its franchises, defined, proven business format, method of operation & control, along with know-how on product/ service/ marketing. We also provide management assistance, including accounting procedures, personnel and facility management, merchandising & promotion among other details. Sankalp practices a uniform system of operation, so that consumers receive excellent quality of product with utmost efficiency. 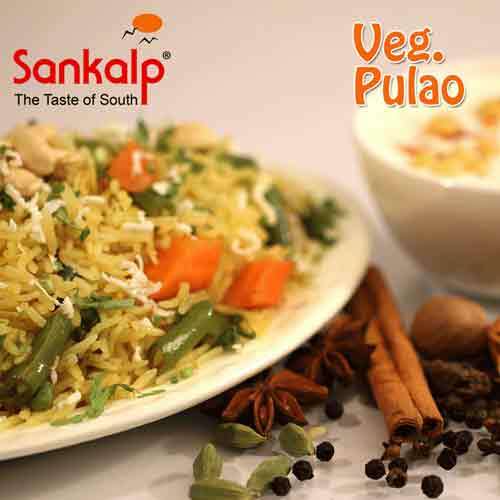 The establishment of Sankalp was based on the inherent desire to give customers authentic South Indian cuisine. Increasing addition of innovative menus to its repertoire and regular food festivals has made the Sankalp experience an unforgettable one. A brand name that has established itself for more than three decades, Sankalp has become synonymous with professionalism, expertise, teamwork, consumer orientation and finesse. Our reputation precedes us and we at Sankalp, work very hard to stay true to our name. We are stringent on quality control and adhere to critical parameters. 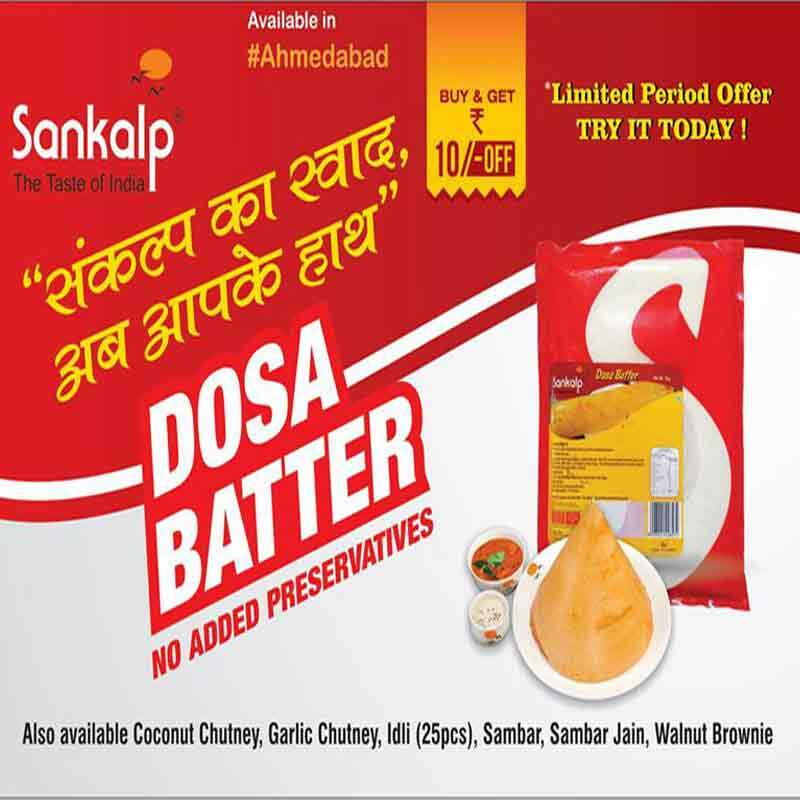 This has made Sankalp a Brand that you can rely on. Today, the growing Sankalp family is an ever growing bond-of-trust. >> Opportunity to become a part of a large and well established, time tested business. >> Business risks are minimal. >> Advantage of the Sankalp goodwill in domestic and international markets. >> Availability of readymade technology and operating system thereby saving on the need to develop one's own technology, systems and procedures. >> Training in conduct of business as well as of manpower and continuous training support. >> Research and development support of our organization. >> Reduced cost of business due to economy of scales. >> Assistance in site selection and feasibility study. >> Restaurant and kitchen layout support. >> Equipment selection and placements. >> Vendor support during project stage. >> Unique installer team placed at the outlet at the time of opening to minimize initial operational issues. >> Unique software placement with food control backup from H.O. >> Provision of products / raw material from an export oriented production unit to maintain uniformity of taste. Providing a standard recipe. >> Selection of staff and training at our Head Office and Kitchen in Ahmedabad. >> Operating procedures and guidelines on how to handle the business efficiently. >> Identity & Brand design. >> Monthly check up on Standard Recipe and Standard Portion Size by an audit team. >> Publicity and initial market presence advertisement. >> Assistance by dedicated team to each franchisee to ensure quality, operational and cost related support when needed. >> Periodic visit by our qualified and highly experienced restaurant experts to upgrade/ maintain/ improve business standards. >> A zest for food business and innovative performance in the market. >> A proven track record of business ownership that can complement our brand image. >> Adequate local knowledge and expertise in the areas of consumer preference. >> Access to required capital. >> Minimum 1800 to 2500 sq. ft. of carpet area in a prime location. >> Ground floor space preferred with a frontage of minimum 40 ft.
>> First floor space is also workable provided a direct entry with minimum 5ft. width from the ground floor is available. >> Ample parking space provision is required. Valet provision could also be made. >> Prime location with high footfall. Prominent visibility of the space is important. >> Preferably owned space but rented space can also be considered. Investment ranges from USD 200,000 to 300,000. >> Please fill in the Franchise Application Form. >> Send us the layout plan in AutoCAD format. The Personal / Business information provided here is for confidential use of our franchise review and selection process. Do not upload more than 5mb. I confirm my genuine interest in the Franchise Opportunity provided by SRPL and hereby state that the information provided above is true to the best of my knowledge.